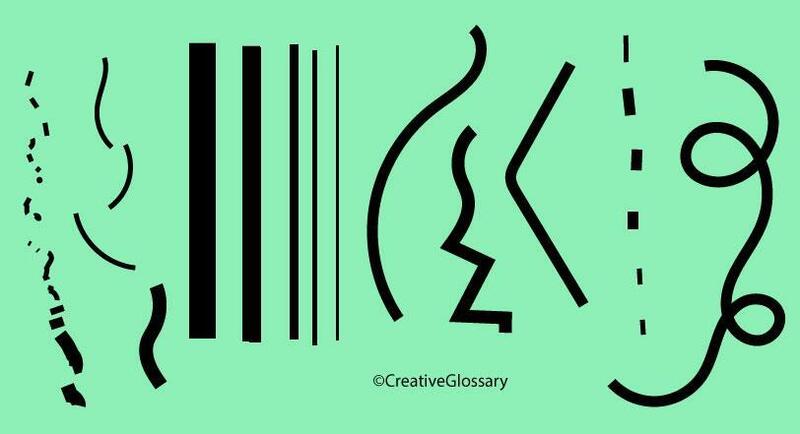 Line in drawing refers to a type of mark that contains both a direction and a length. Line is an art element. There are numerous varieties of possible lines, including curved, bent, thick, wide, broken, vertical, horizontal, burred, or freehand. Lines are frequently used to delineate shapes, forms and spaces. The representation of volume, edges, movement and patterns can all be created using line. Lines can create both 2D and 3D objects and figures.